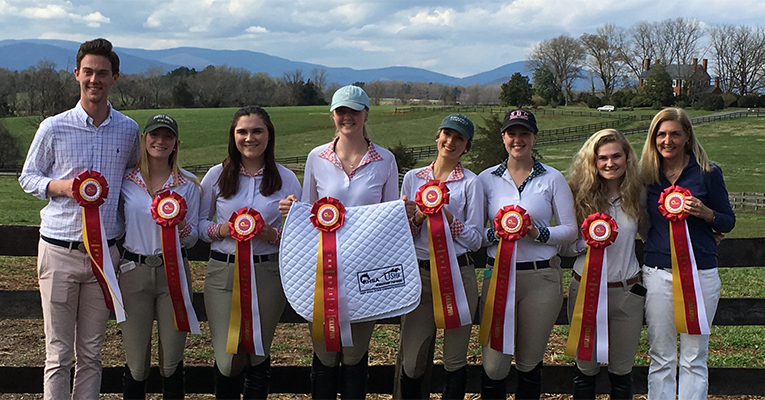 The Sweet Briar equestrian team is headed to IHSA Nationals after the Vixens became the Zone 4 Reserve Champions on Saturday in Charlottesville at the Zone 4 Championships, hosted by the University of Virginia. With the Vixens headed to nationals as a team, sophomore Kaitlin Duecker (Chesapeake, Va.) will also compete as an individual at nationals after qualifying as the Zone 4 Novice Flat Champion. In the team competition Duecker won the intermediate flat, while junior Sarah Miller (Amissville, Va.) won in novice fences. First-year Chloe Kerschl (Lexington, Va.) finished second in the open flat and Miller picked up second place honors on novice flat. A pair of third-place finishes came from first-year Pauli Born in walk, trot and Duecker over intermediate fences. 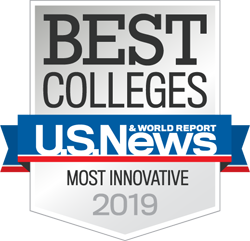 Team scoring for Sweet Briar was rounded out by a fourth-place finish in open fences by senior Ailish Rhoades (Lebanon, Conn.) and junior Abbey Narodowy (North Smithfield, R.I.) finishing fifth in the walk, trot, canter. Sweet Briar finished with 37 points, while Emory & Henry scored 44 to win the Zone 4 Championship. In individual competition, Duecker won the novice flat competition, while finishing ninth in novice fences. Sophomore Madeleine McAllister finished fourth in walk, trot for the Vixens. The IHSA National Championships are scheduled to take place from May 2-5 at the New York State Fairground Expo Center in Syracuse, N.Y. Novice flat is scheduled to take place on May 2, with team competition taking place May 2-4.